Holiday Feather Flag 8 ft x 3 ft with pole sleeve to fit up to 1-1/4 inch flagpoles. Nylon heavyweight material, Made in the USA. Christmas Flag, Peace on Earth Flag , Happy Holidays Flag, Snowman Flag, Nativity Scene Flag. Also custom flags available. 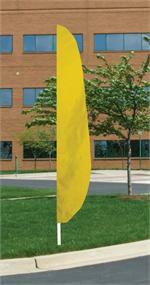 No Pole Needed, use your own poles up to 1-1/4" diameter. 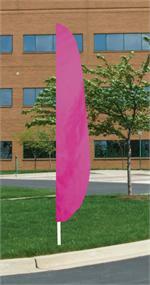 Our eye catching Holiday Feather Flags are very vibrant and unique designs. Our holiday feather flags come in sizes 8 ft , 10 ft and 12 ft, They are made right here in the USA. Competitor flags are made overseas. Buy USA made products. Your choice of Peace on Earth Feather Flag, Happy Holidays Feather Flag, Snowman Feather Flag, Nativity Scene Feather Flag, Christmas Feather Flags. 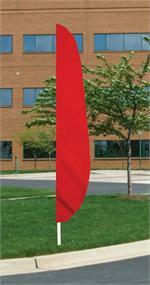 We offer the longest lasting Christmas Church Feather flags and City Holiday Feather Flags. Please allow 5 days to ship out. We also, make custom holiday flags, please email us as sales@flagamerican.com or Call 1-800-669-9639 for a proof. Holiday Feather Flag 10 ft x 3 ft with pole sleeve to fit up to 1-1/4 inch flagpoles. Nylon heavyweight material, Made in the USA. Christmas Flag, Peace on Earth Flag , Happy Holidays Flag, Snowman Flag, Nativity Scene Flag. Also custom flags available. Holiday Feather Flag 12 ft x 3 ft with pole sleeve to fit up to 1-1/4 inch flagpoles. Nylon heavyweight material, Made in the USA. Christmas Flag, Peace on Earth Flag , Happy Holidays Flag, Snowman Flag, Nativity Scene Flag. Also custom flags available.